I must have walked past Olivier Potier on Sherbrooke at least 100 times before finally noticing it. The stretch of this street is filled with restaurants, cafés, museums, galleries and boutiques but this patisserie eventually caught my eye! 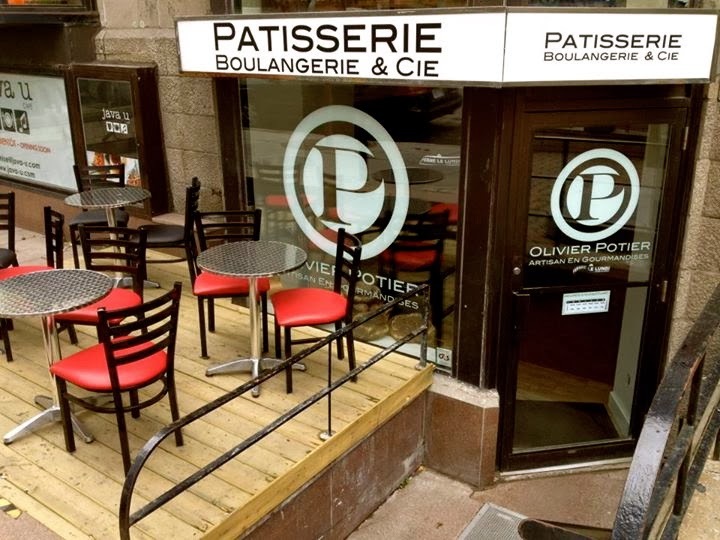 The pastry shop looks small from the outside but is quite spacious once you walk in. 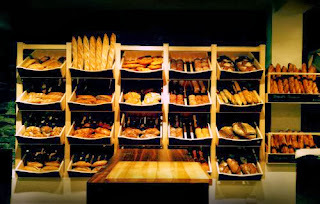 You immediately find a whole wall covered in delicious looking breads from baguettes to almond croissants. On the opposite wall, find mouth-watering desserts like the classic chocolate éclairs and St. Honorés and Potier’s original creations like his tarte au citron or Snickers Bar. 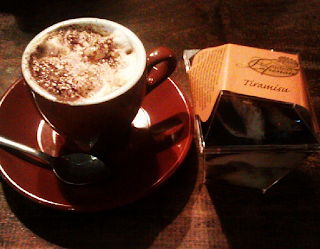 You will also find various coffees on the menu which pair perfectly with the sweets and pastries in the shop. Potier works with famous chefs like Eric Gonzalez and l’Auberge Saint Gabriel to provide savoury lunch items like sandwiches and salads. In the back of the shop you see a glass wall covered in decals of the store’s logo – a whisk. Here is the “laboratoire des gormandises” or in other words the room where all the magic happens! 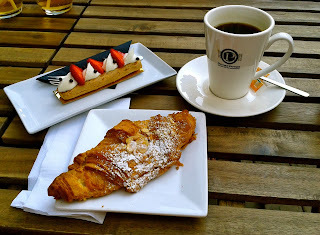 I had too many amazing choices but I finally settled on some coffee and an almond croissant and my friend chose a strawberry éclaire, which we enjoyed on the terrace. The shop is located on Sherbrooke near the Montreal Museum of Fine Arts in a part of town that makes you feel like you’re in New York City! Olivier Potier is the perfect place to go any time of the day for coffee, croissants and so much more! Update: Unfortunately this café has closed. Recently, Etiket hosted a launch party for Penhaligon’s newest scent, Vaara, inspired by the Royal House of Marwar-Jodphur. 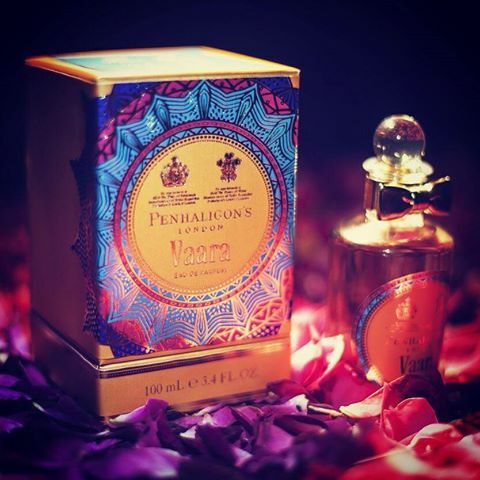 This fragrance was inspired by His Highness Gaj Singh II, who wanted to reflect his family’s deep love and connection with Jodhpur: a state in North-West India which literally translates to “the land of kings”. It is renowned for colour textiles, magnificent palaces and majestic forts. Vaara begins with a delicious blend of coriander and carrot seeds, creamy saffron and juicy quince as top notes - all ingredients discovered during the perfumer, Bertand Duchaufour’s trips to the local markets in Jodhpur, India. 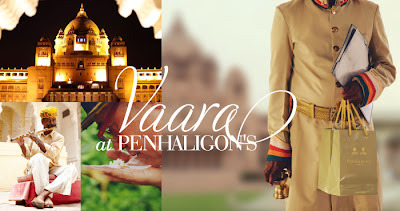 The heart notes of Vaara belong to the gardens of Balsamand, the Maharaja’s summer palace, with two glorious roses blended elegantly with a billowing white note of Indian magnolia, a touch of freesia and a whisper of iris. The fragrance settles into base notes of a luscious combination of honey, white musk and resin dripping over an aromatic blend of tonka, cedarwood and sandalwood. 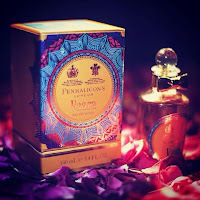 This gorgeous fragrance offers a unique and beautiful glimpse into the aromatic world of the Maharaja. The packaging is no exception, conveying the beautiful colours and patterns found in India. If you would like to dip your toe into the oriental waters without getting overwhelmed, this scent is for you! 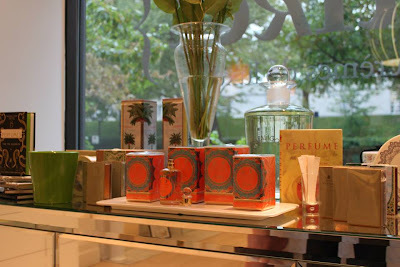 I love this fragrance because Vaara captures the spirit of this fascinating part of India. I’m finally back in this beautiful city of Montreal and exploring a new café was on the top of my to-do list. 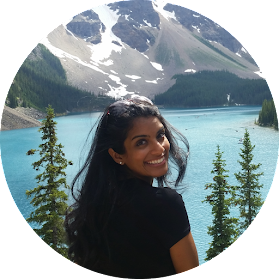 My childhood friend, and recent McGill graduate, Carli was visiting me for the weekend, and I thought it would be the perfect time to take an adventure to the Mile-End area. Any time I spoke to someone about the Mile End, I kept hearing about one café in particular. My friends raved about how amazing the coffee was at Café Olimpico, so naturally this is exactly where we went. 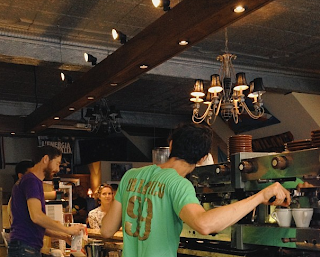 Olimpico is a cozy little coffee-sports bar, nestled right in the heart of Mile-End. This strangely decorated café was filled with regulars, business people, families and students. Each customer seemed to have a different relationship with the super-friendly staff. The menu was not extensive but included great coffee and dessert selections. I was so pleased with the cappuccino I ordered - the espresso was rich and hot, and had just the right amount of froth on top! Carli and I also decided to order Tiramisu to share and it was heavenly! The best part was that everything on the menu was very reasonably priced. I loved the homey, European feeling in and around the café. Many people were watching the soccer game on the giant TV screens hanging from the walls but I enjoyed the fact that the game was not over-powering inside the café. There was also a beautiful outdoor terrace, which would be perfect to use on summer days. It looked really peaceful and seemed to be a good place to read a book or chat over a cup of coffee. Café Olimpico had a great atmosphere, both inside and out. 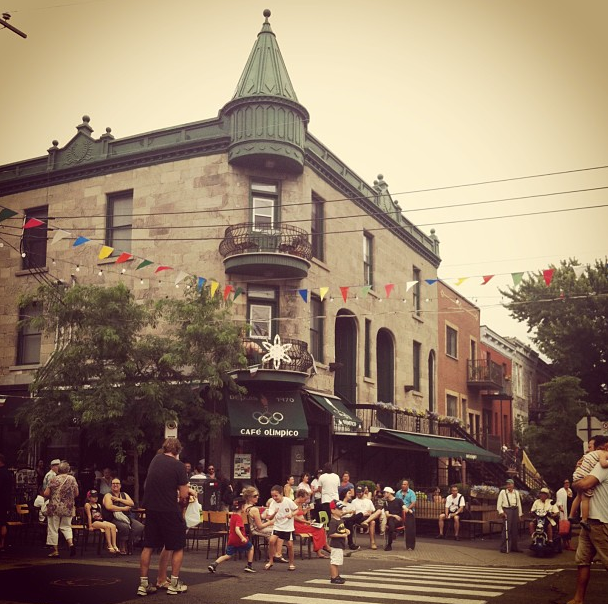 The entire Mile End area is beautiful and Café Olimpico is no different. This cafe gets five stars in my books!